Therefore we supplement the comfort of shopping in our online store by services and gifts that we hope will contribute to your satisfaction with Odeja. For the third and each subsequent purchase over 50€, we will add a small gift to your purchased products. 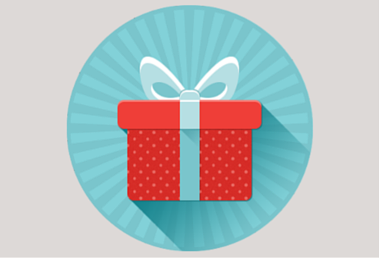 With the purchase above 199,99 EUR and with the purchase above 399,99 EUR we will add a really special gift to the purchased products. We prepare special sales every month, where you can buy our products at especially affordable prices. If you wish to be notified about our special offers we invite you to apply for Odeja newsletter. Croatia and Serbia: Upon purchase of products worth 150 EUR or more, the delivery is free. EU countries: Upon purchase of products worth 150 EUR or more, the delivery is free. USA and Canada: Upon purchase of products worth 250 EUR or more, the delivery is free. call us from Monday to Friday between 8 a.m. and 3 p.m. on the telephone number +386 4 513 01 21.
send us an email to this address: customer.service@odeja.si. If you have any problems with online shopping, you can write to us on the e-mail address: eshop@odeja.si. From Monday to Friday between 8 a.m. and 3 p.m., you can also call us on +386 4 51 30 155.